Are You Honeymooning at Work? 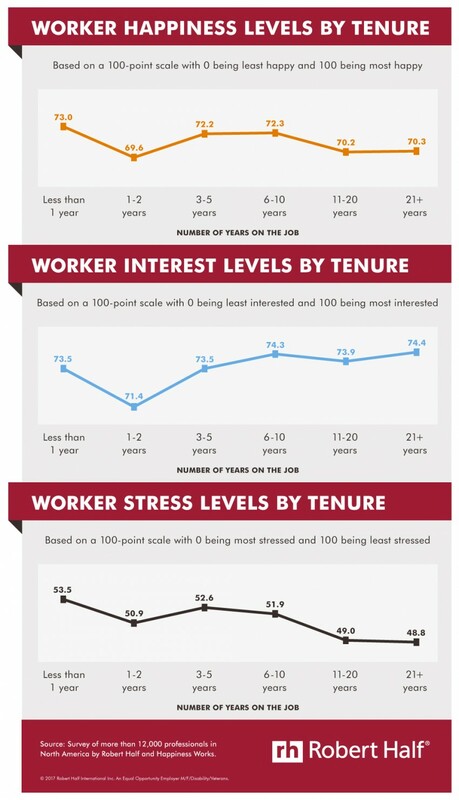 Do Happiness Levels of Employees Vary Based on their Tenures? For many professionals, that first year in a new job can be a “honeymoon period,” full of new and exciting challenges. But a recent study from Robert Half and Happiness Works shows that professionals with between one and two years on the job are less happy, less interested in their work and more stressed than those still in their first year. After three years or more on the job, happiness levels edge back up and interest levels increase. In fact, those with the greatest tenure (21 years or more) showed the highest level of interest in their jobs. Although managers can take steps to create a happier work environment, they aren’t the only ones who can fan the flames of employee happiness. When asked who’s responsible for keeping spirits high on the job, 25 percent of North American workers surveyed said it was their responsibility alone. Another 5 percent said it was all in their company’s hands. The majority of respondents – 70 percent – cited a combination of the two. Find your passion. 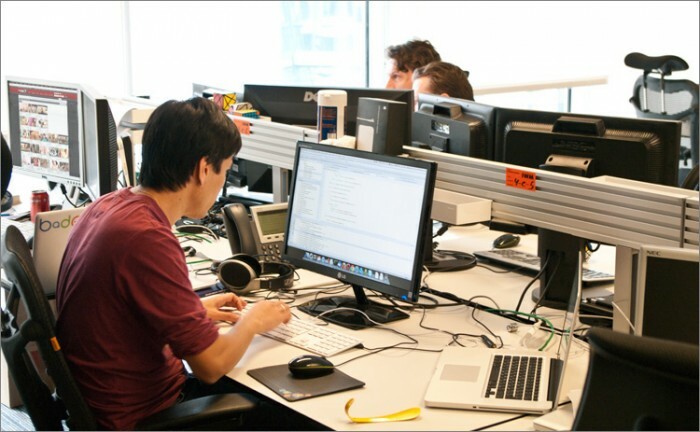 Think about your company’s higher purpose: How is it making the world a better place? For example, if you work at a CPA firm, you aren’t only performing accounting functions – you are helping client’s businesses grow and thrive. Mix it up. Don’t wait for your manager to offer you new projects. Be proactive, talk to your boss about new assignments to broaden your skill set and contribution to the firm. This not just increases your engagement levels but also your earning potential. Show gratitude. Take time to thank your co-workers for their help and compliment others for a job well done. This will brighten their day while also giving your spirits a boost. Sweeten the pot. Keep up with the compensation trends and ask for a raise, if warranted, as you take on more responsibility.